Choosing a specialty is one of the most important career decisions for a doctor. Some study medicine with a clear career pathway in mind; others commence with no idea of the direction they might head. In this series we profile a range of specialists who reflect on their careers and selected fields, with the aim of helping others who are still to make a decision. 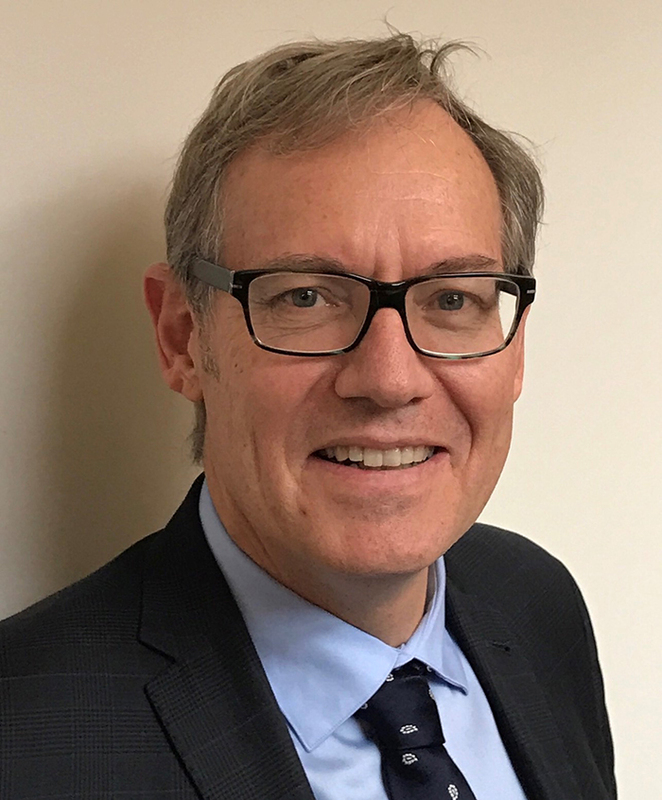 Mr James Keck – Clinical Director of Colorectal Surgery at Eastern Health, Colorectal Surgeon at St Vincent's Melbourne and President of the Colorectal Society of Australia and New Zealand. Why and how did you choose your specialty? I had an interest in psychiatry when I started off as a medical student, which changed to cardiology and internal medicine by the time I graduated. It was only when I started work as an intern and resident that it gradually dawned on me that what I loved was the practical nature of surgery. Surgical patients present with problems that are defined, these problems are often treatable or even curable with an operation and most of the time patients go home well and happy. At the same time the whole surgical process is underpinned by the need for expertise in psychiatry and internal medicine, as well as skills in communication, empathy and compassion. I chose general surgery initially for its breadth of interest and for the emergency work ranging from trauma to cancer to common inflammatory conditions like appendicitis. Within general surgery I soon found that I was mainly interested in gastro-intestinal structure and function and then I had the opportunity to focus on a single area of sub-specialty interest in colorectal surgery. As a trainee, colorectal surgery was a nascent specialty emerging from general surgery and this process of self-definition as a specialty was fascinating to me. I was working with surgeons who were in the vanguard of establishing our sub-specialty and setting up the Colorectal Surgical Society of Australia and New Zealand (CSSANZ). I still regard these surgeons, including Peter Ryan, Brian Collopy, Roy Fink and Jack Mackay as my mentors and heroes. I am fortunate that they saw some potential in me and gave encouragement and support. What personal qualities and skills/strengths do you think are integral to reaching your potential in the role of colorectal surgeon? Colorectal surgery is technically demanding – operations can be long and exhausting and involve advanced technology such as laparoscopy and robotics. Colorectal surgery is continually evolving so the surgeons need to be curious, agile and committed to ongoing professional development. In my time as a consultant I have had to learn a number of new operations and approaches including laparoscopic bowel resection, sacral nerve stimulation, new operations for fistula and new techniques for colonoscopic polypectomy. However, as demanding as the technical side of colorectal surgery may be I think the most important qualities a colorectal surgeon needs are personal. Communication skills, especially listening to patients, avoiding cynicism and burn out while remaining empathic, attention to detail and being an advocate and champion for your patient are the real challenges for colorectal surgeons and indeed for all clinicians. What do you love and what do you find challenging about your role? I love nearly every aspect of my work if I am honest and feel privileged to do it. I love the way clinical work is ongoing and yet leads to so many other activities that stimulate – teaching surgical trainees, research and international travel, roles in running public hospitals, contribution to health policy and medico-legal opinions. What I find most challenging is dealing with patients who have poor outcomes due to advanced pathology, usually cancer, or who have surgical complications. I find it tiring to work at times and I get stressed when I have too many things to do or to do well. What advice do you have for those doctors considering your specialty? Look for a mentor or mentors who will provide support and guidance. Look for a department or unit where you would like to work and then make yourself an indispensable part of that department. Do some research (training is unachievable these days without it), show you can work hard and remain cheerful and continue to nurture the parts of your life that make you an individual worthy to work alongside, including family, friends, sport and exercise and cultural interests. This is an edited version of an interview from the October/November 2018 edition of Vicdoc. Read the full story.